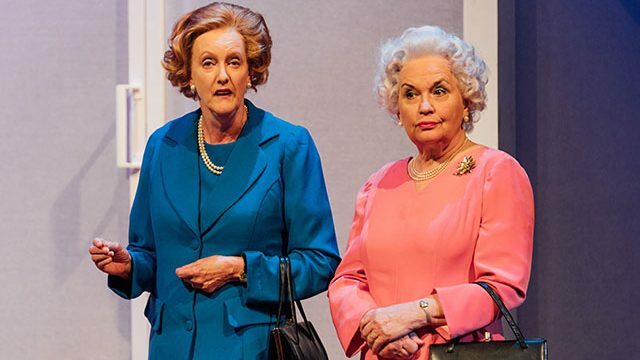 York Theatre Royal is getting ready to roll out the red carpet for the Queen and Margaret Thatcher this month, as Moira Buffini’s Handbagged drops in from 24th April. Handbagged is a funny, sharp and mischievous play that imagines what might have happened at the Queen’s weekly meetings with the Iron Lady when the latter was Prime Minister. Susan Penhaligon plays Q with Caroline Harker as Liz, a younger version of the Queen. Sarah Crowden plays T with Eve Matheson as Mags, a younger Margaret Thatcher. Sarah Crowden and Susan Penhaligaon. Credit Helen Murray. Handbagged is at York Theatre Royal from 24th April to 11th May 2019. Tickets from £15. Book online at yorktheatreroyal.co.uk or call the Box Office on 01904 623 568.